I was called a quitter for bowing out early on my Baja trip. (As you may recall, from Reflections on My Baja Trip, I left Baja a month early, after having pedaled only 600 of the route's 1700 miles.) I felt ashamed for quitting, for not sticking with the ride. After all, I had invested quite a bit of time and energy planning the trip. Plus, I had spent a good chunk of change outfitting myself with the appropriate bike and gear. Fortunately, the feelings of guilt lasted only a few short seconds. 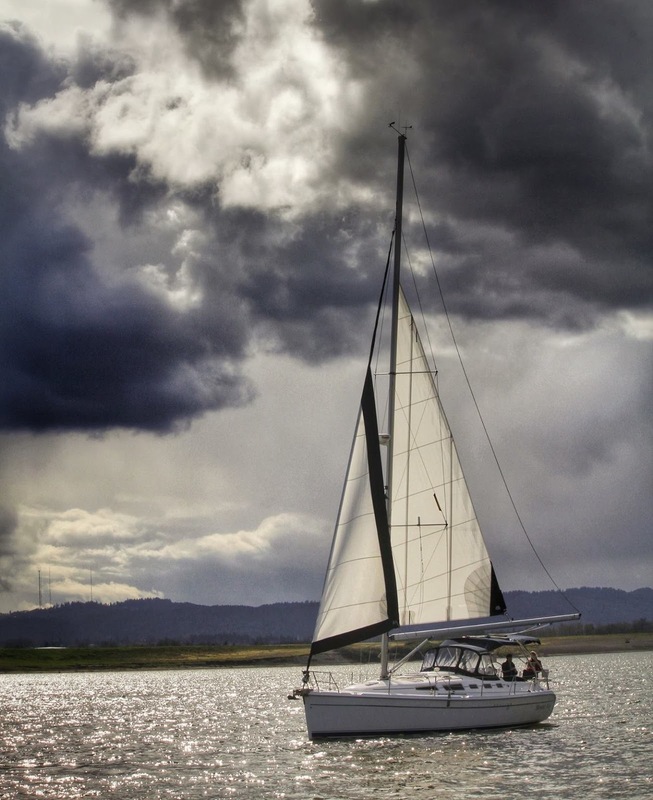 I hadn't quit; I had adjusted my sails. 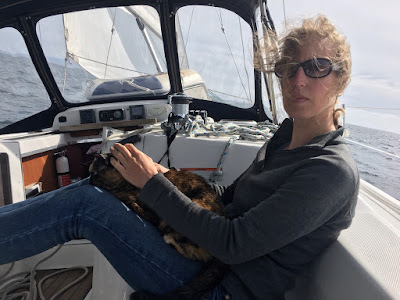 Sailing with Jake on Bonne Vie in March 2014. The word "quitting" carries with it a deeply negative connotation. A quitter gives up easily because he or she doesn't have the strength, courage, or determination to keep pushing on and seeing a task through to completion. Having returned to The States a month early from the Baja trip, El Mecánico and I spent the next few weeks slowly meandering our way back home. After all, there was no reason to rush back to the cold and wet winter in the Pacific Northwest. For two years, I had been trying to arrange a sailing trip with a friend who lives in Los Angeles. As we'd be passing through LA, this was the perfect opportunity to make the trip happen. We decided to take a five-day sailing trip to Catalina Island. We ended up having such a grand time that we extended our trip from five days to nine. Sailing to Catalina, with Salem on my lap. As was alluded to in my last post, Biking the Baja Divide: A Photo Journal, my trip to Baja was less-than-inspiring. In fact, it was so lackluster that I returned to The States a month earlier than expected, having only biked 600 of the route's 1700 miles. As is the case for all my travels, the venture resulted in significant reflections and a handful of lessons learned. Walking the beach at Los Frailes. The principal reason I travel is to immerse myself in nature. I love being in temperate forests -- majestic trees, babbling creeks, the sounds of forest life. I love being near alpine lakes -- shimmery aquamarine waters and craggy snow-capped peaks. I love being on the shorelines of The Sound -- the rich orange bark of madrona perched high atop the tides. 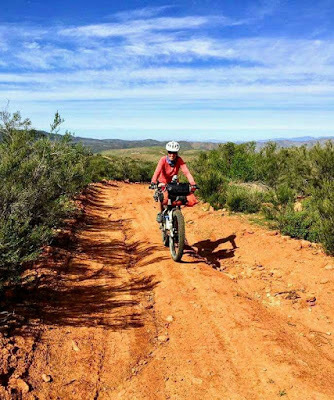 At the end of January, I traveled to Mexico to bike the new Baja Divide route. This a photo journal of my trip. I rode the first ~270 miles from Tecate to San Quintin with Ronaldo. We covered this section in just over a week. Due to recent heavy rains, the desert in the north was unusually lush.